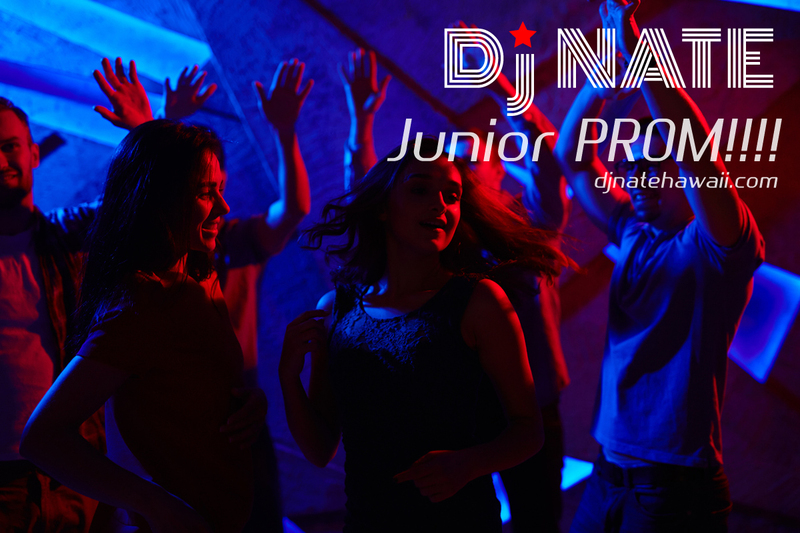 Epic Junior Prom DJ in Honolulu, HI | DJ Nate Professional Wedding and Event DJ on Oahu. Yo! DJ Nate here! Your search for the right DJ for your Junior Prom in Honolulu is over. I’m friendly, easy to work with, and will deliver an awesome production for your junior prom. Yes, I have certificate of insurance and everything that is required. Before the prom, I’ll work with you on the music, and theme to help make the prom AMAZING! I can break out multi colored lights, strobe lights, haze and smoke, and can bring fun props like LED glow batons and glasses! I have packages and can work with your budget. Cheehuu!! !